Optional corrosion protection can help to prevent the corrosive effects of water or salts. 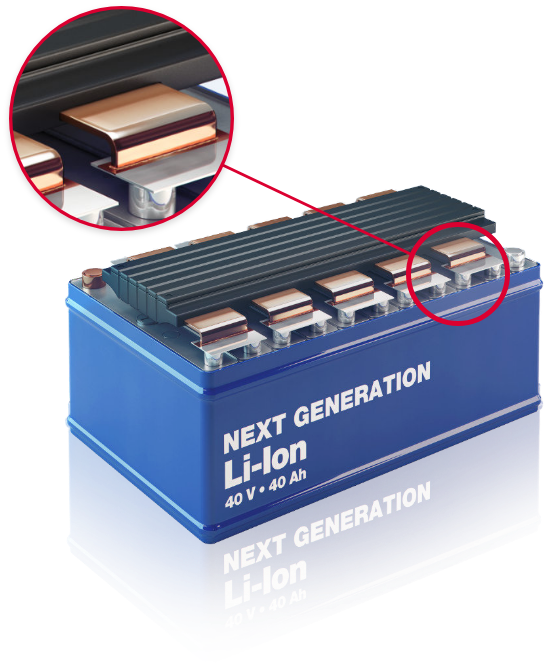 Current market trends and the ongoing weight reduction efforts in the automotive industry, as well as increased requirements on heat dissipation in power electronics leads to innovative approaches in companies participating as solution providers for these industries. DODUCO has responded to these trends early and worked on joining the metals copper and aluminium together using cold roll bonding. The combination of these metals can yield to cost savings, through the replacement of expensive copper with aluminium. Additionally, it is possible to obtain a significant reduction in weight through the use of the light metal aluminium. 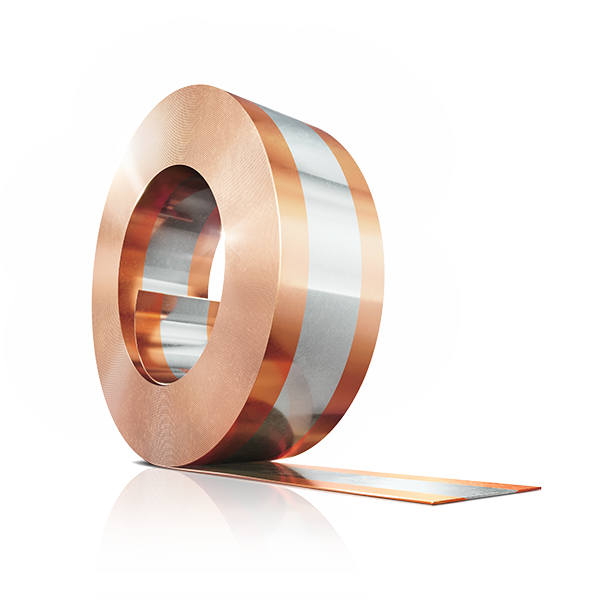 AlCunnect provides a reliable connection of the copper and aluminium world. DODUCO has already reached an advanced stage of development with the copper/aluminium bonding and is looking for partners to successfully establish the bimetal AlCunnect in the market. Now that it is possible to combine aluminium and copper numerous new opportunities arise with our metal composite AlCunnect. Copper is well-known for its high electrical conductivity but has become a very costly raw material due to price increases over the past years. 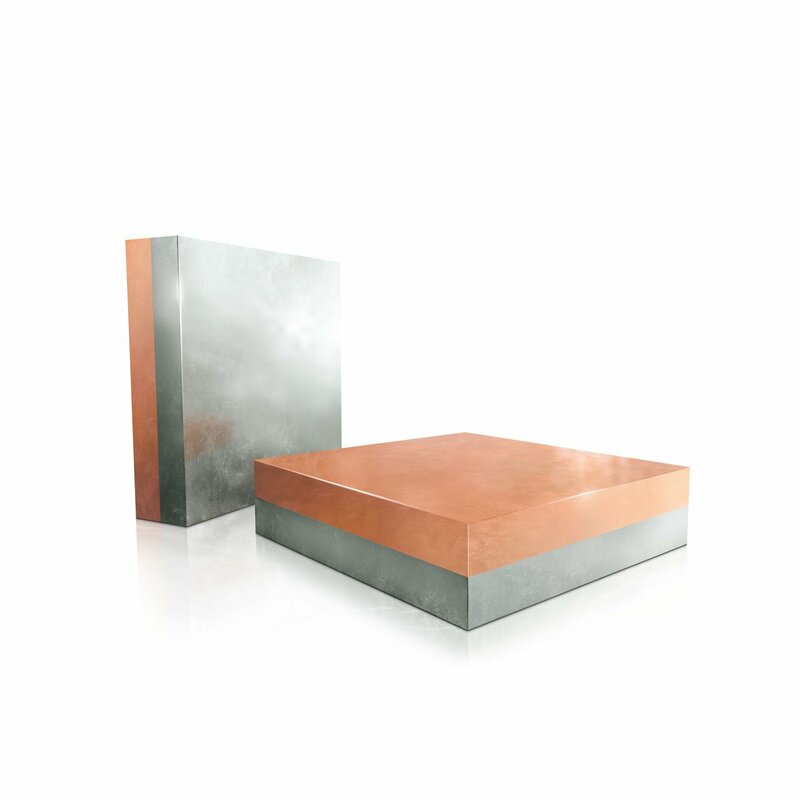 The aluminium copper bimetal enables cost benefits as a result of partially replacing copper with aluminium. Aluminium has the fourth best electrical and thermal conductivity of all metals. Only silver, copper and gold are better. Although copper outperforms aluminium in both disciplines, it is still heavier and more expensive. For the same conductance the cross-section of aluminium is 1.6 times larger than the cross-section of copper, even though it weighs only half as much. Another positive aspect of using the clad metal AlCunnect, beside the cost benefits, is the resulting significant weight reduction, which is important in the automotive sector. At the same time the plated bimetal of aluminium and copper provides temperature stability up to 200°C and an excellent mechanical adhesion. AlCunnect is a composite material prepared by cold roll plating of Aluminium and Copper. Subsequent heat treatment ensures a strong metallurgical bond between the metals. AlCunnect is offered in three different variants to meet customers’ individual needs. First, the overlap composite, where copper and aluminium strips are joined together along one side. Second, the overlay composite, where aluminium and copper are clad together. Third, the inlay composite, where a strip of copper is plated onto an aluminium carrier strip. Optional corrosion protection can help to prevent the corrosive effects of water or salts. 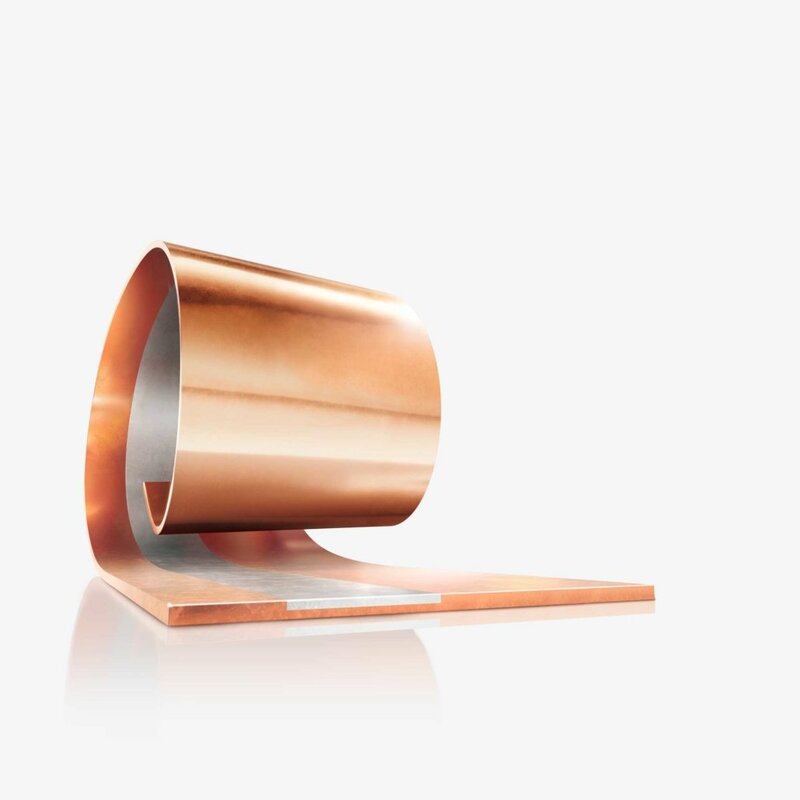 In the so-called overlap composite AlCunnect is composed of copper- and aluminium-strips joined together. The overlapped plated strip material can be produced with a total maximum width of 4.7” (120mm) and a thickness of up to 0.08” (2mm). At the same time the width of the overlapping section of aluminium and copper strips is approximately 0.2” (5mm). The width ratio of the aluminium and copper strips is individually selectable. The overlap composite is available in coil form. The overlay plated alternative of the bimetal AlCunnect is produced by cladding the entire surfaces of aluminium and copper together. These aluminium-copper slugs are available with a width of up to 8” (200mm) and total thickness up to 0.4” (10 mm). The thickness ratio of aluminium and copper is freely selectable. For this variant, a copper strip is plated onto an aluminium carrier strip. DODUCO has decades of experience and high levels of process expertise in strip plating. The inlay composite reduces materials cost by limiting the use of copper to essential points. This process provides extensive cost savings alongside improved material properties, including better mechanical connectivity than flowing movement aluminium. If copper and aluminium are in close proximity to each other, just a little bit of moisture can be enough to set a corrosion process in motion. Specifically for such circumstances DODUCO has already developed methods for corrosion protection. There are two different possibilities, the inorganic and organic coating processes to protect AlCunnect against the environmental influences. The electroplated and isolating coatings have been qualified in cooperation with leading suppliers of the automotive industry by DIN salt spray tests. Coating with an isolating lacquer is one possible method for corrosion protection of bimetal AlCunnect. The specifically developed lacquer can be applied fully or selectively in a continuous reel-to-reel plating process onto the clad material AlCunnect. The short curing time and wide temperature range for applications are special features for this type of corrosion protection. Electroplating is a further method used to counter corrosion. In this process the aluminium-copper metal composite is fully or selectively plated on a reel-to-reel plating line. For the inorganic corrosion protection tin has proved to be effective. When comparing aluminium and copper with each other, there are a number of differences. 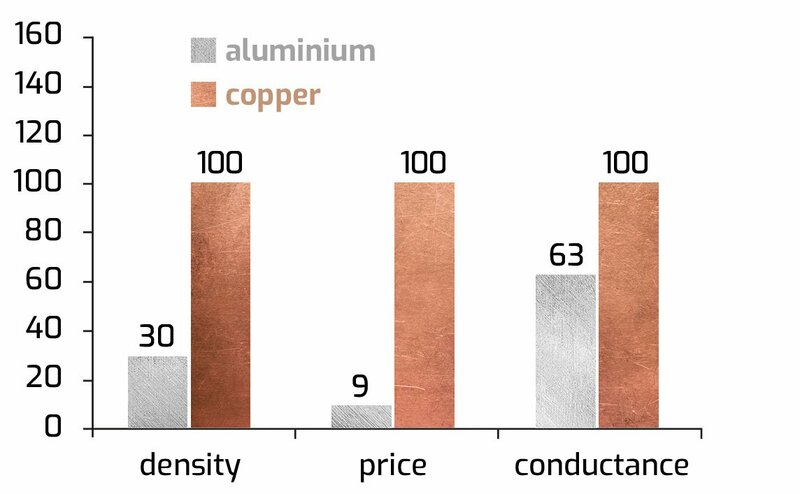 Fundamentally the comparison is done by assuming copper as the basis and then creating comparative figures with aluminium. The first comparison here between aluminium and copper considers both metals having equal cross-sections. In this case density, price and conductance are considered. 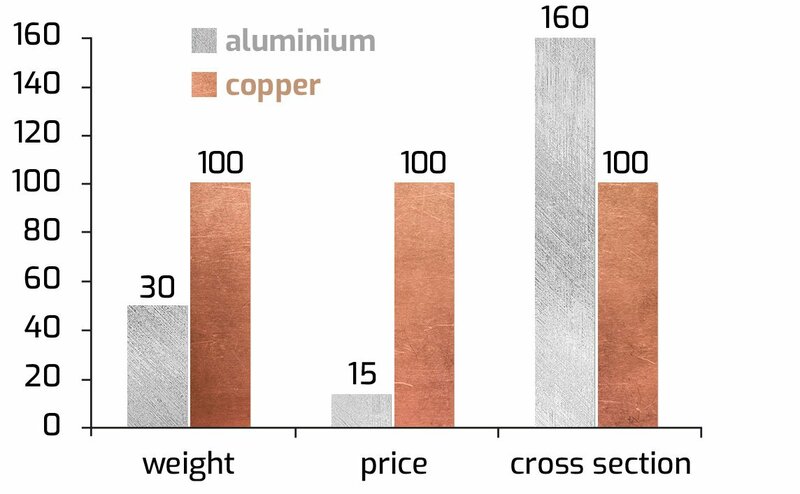 The results for the same cross-section comparison show that aluminium is cheaper and is only about one-tenth the price of copper. Comparatively, aluminium has a lower density and is characterized by a remarkable conductance. When comparing a piece aluminium and copper, which both contain the same conductance, the required cross-section of the aluminium is greater in order to achieve the identical conductivity of the copper. Also there is a significant difference in weight. Aluminium’s weight is only half of the copper’s. Moreover aluminium remains very reasonably priced in comparison to copper in spite of its larger cross-section. Cupal (Manufacturer: VSW Hetzel e.K.) is a composite material made of aluminium and copper, which is plated over the entire surface. Even though AlCunnect and Cupal are bimetals, there are some differences. 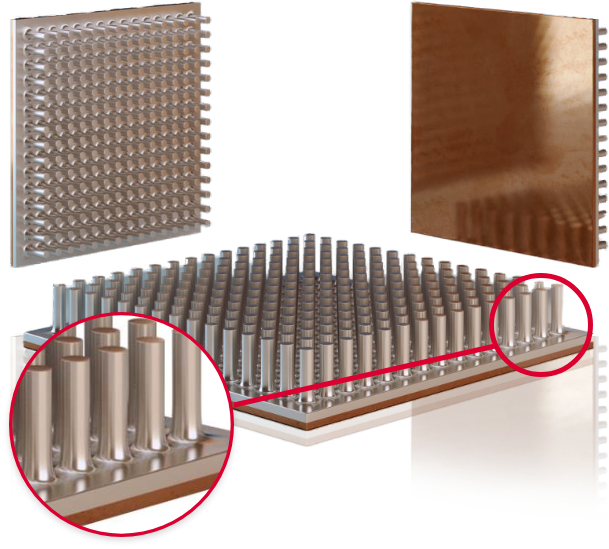 DODUCO can produce layer thicknesses of up to 0.4” (10mm) for AlCunnect. However, the layer thickness of Cupal is only offered between 0.02” – 0.08” (0.5-2mm). Likewise aluminium copper thickness ratios of Cupal are 30:70 or 20:80. Comparatively AlCunnect’s thickness ratios are individually selectable. In addition to the manufacturing process of overlay plating DODUCO has the know-how of overlap plating of the metals aluminium and copper. 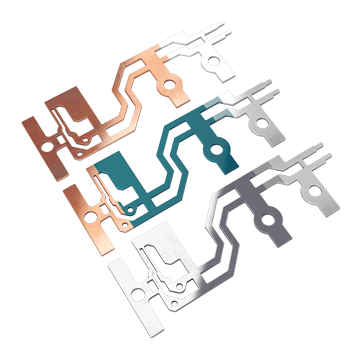 The overlap plated clad metal AlCunnect offers further application possibilities for the material combination. Especially in power electronics and the automotive industry, bondable surfaces are needed for the connection of carrier materials with electronic components. DODUCO has many years of experience in the field of roll-bonded strips with aluminum-silicon inserts and looks forward to your inquiries.